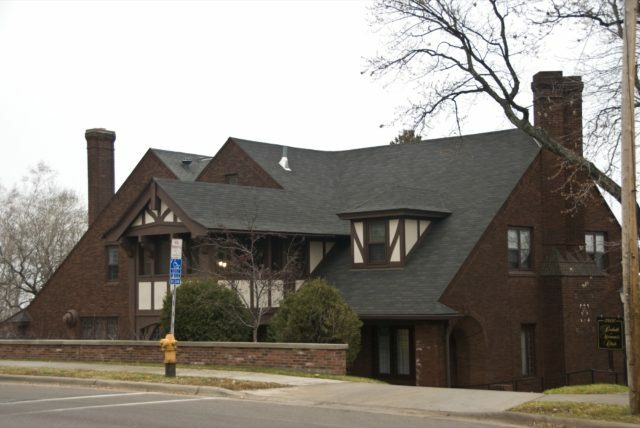 Duluth’s steep landscape hides the first floor of this two-story English Tudor Revival style house, built for Alex Hartman, president of Duluth Edison Electric Company, and his wife Katherine. The house was later remodeled by its current owner, the Duluth Woman’s Club. The Club’s roots date back to 1889, but it wasn’t until 1924 that the efforts of Mrs. J. L. Washburn officially organized the group, which purchased the Hartman House in 1936.